Dues: $ 150.00 / Yearly, due April 1. To pay your membership dues by credit card, click on “Make Payment” on the top right side of the screen. You will need to know the last name on the account and the account ID# which can be found on the member statement on the left below “physical address.” Email your community manager below if you need this information. Follow the instructions when entering your credit or debit card information. The payment is sent to your community manager at HOA Management Co. for processing, which typically takes 24-48 hours. You will be notified if there is an issue with your payment. The confirmation number you receive on the Secure Exchange site does not guarantee approval of the transaction. You can also register to gain access to view your account by registering through the “Client Portal” at the top of this page. Click “Register Now” and follow the instructions. Your community manager will receive the request and typically process it within 24-48 hours. 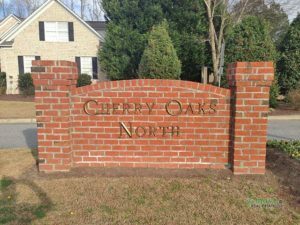 ALL PAYMENTS SHOULD BE MADE OUT TO CHERRY OAKS NORTH HOA AND SENT TO HOA MANAGEMENT COMPANY 3107-B SOUTH EVANS ST. GREENVILLE, NC 27834. PLEASE REMEMBER TO INCLUDE YOUR ADDRESS ON THE MEMO LINE OF YOUR CHECK.